Potential or Already-Working-at-It: Authors, Speakers, Business Person, Non Profits, Ministries,–This List Has No End! You Are Invited! 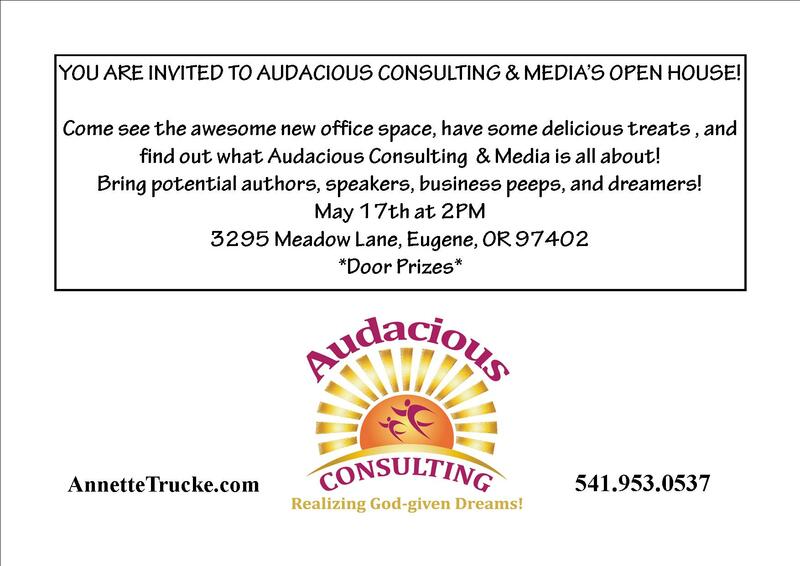 We are having an open house this Saturday, May 17th at my new office. Come just to say ‘hi!”, to see the office, or to be inspired that YOU TOO CAN FOLLOW YOUR DREAMS! Oh and of course we will have refreshments and door prizes–this is a celebration!